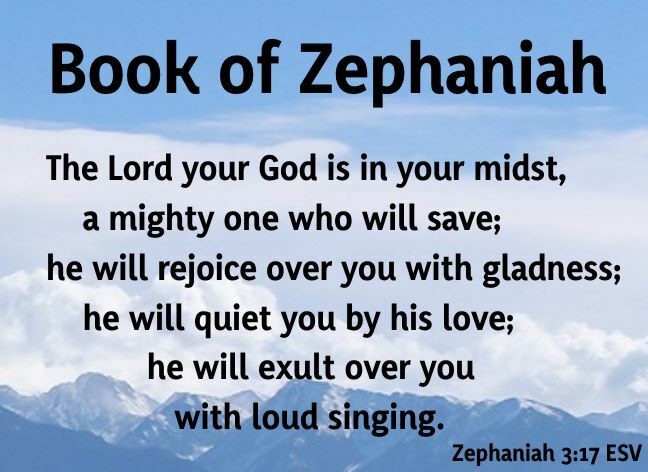 This description of Book of Zephaniah is from Easton's Bible Dictionary. An introduction (Zephaniah 1:1-6), announcing the judgment of the world, and the judgment upon Israel, because of their transgressions. The description of the judgment (Zephaniah 1:7-18). An exhortation to seek God while there is still time (Zephaniah 2:1-3). The announcement of judgment on the heathen (Zephaniah 2:4-15). The hopeless misery of Jerusalem (Zephaniah 3:1-7).